A number of hermit crab species, as well as Florida fighting conchs and other sea snails, are featured in Gulf Shore Aquarium's Invertebrate Bay habitat. ​The fighting conch, known by marine scientists as Strombus alatus, has a sword-like appendage (the end is flexible, and it isn't sharp) that the snail can swing out to startle predators. That includes beach-goers who pick up the shell not realizing that an animal is still alive inside. The use of that "sword" most likely is how the snail got its name. The conch also uses the appendage to drag itself along the sea bottom, to fling itself upward, and to right itself when it winds up in a vulnerable position, as shown in the second and third photos above. 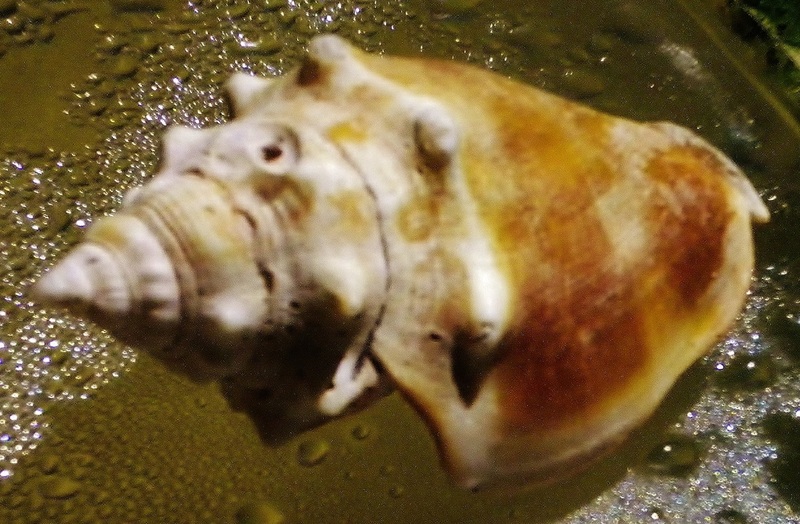 Florida fighting conchs also have three other protrusions that can be seen outside their shell. At the end of separate stalks are the snail's eyes. And it uses its tubular proboscis to sift through the sand in search of algae to eat. 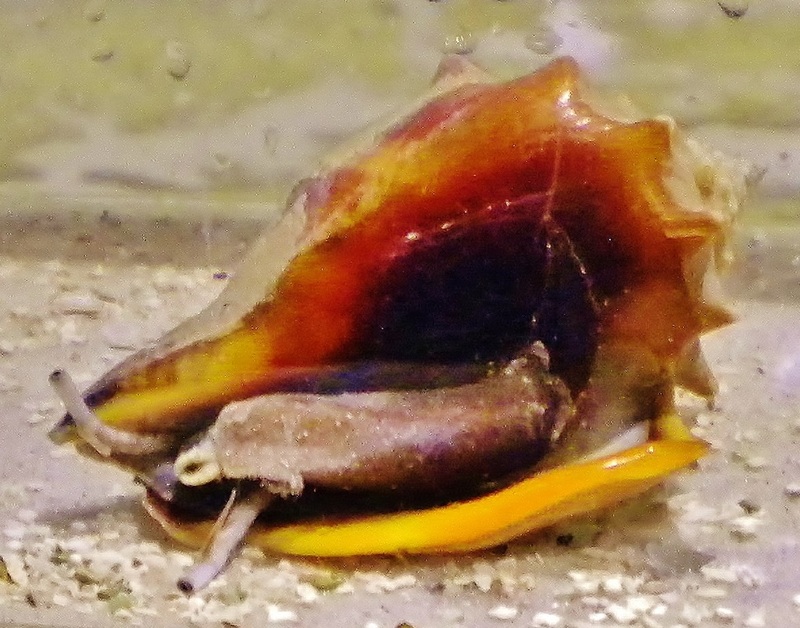 The shell, or exoskeleton, grows along with the snail. The conch takes calcium and carbon dioxide out of the water to make its shell. As more of that material is secreted, it builds the layers of the shell over time. 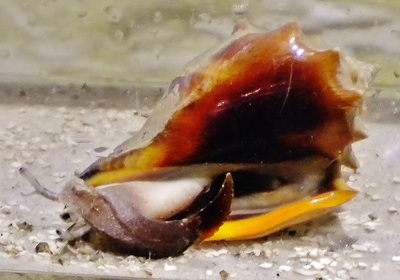 When the conch shell is empty, it often becomes home to a hermit crab (photo above), which lacks its own hard, protective covering.